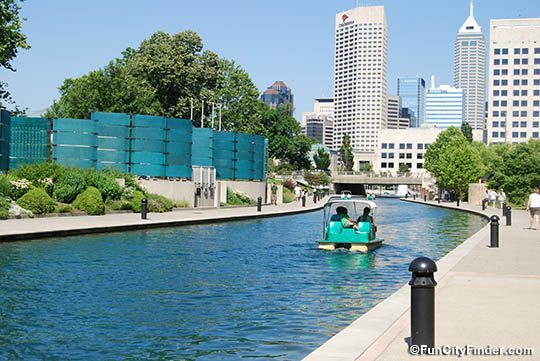 Creating Really Awesome Free Trips: Indianapolis, IN - C.R.A.F.T. Hey, C.R.A.F.T. readers! 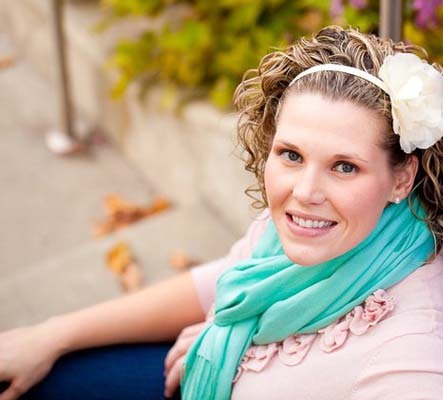 I’m Chelsea from two twenty one. I’ve lived in Indianapolis for almost 3 years now, and I have enjoyed exploring the all of the interesting parks, museums, neighborhoods, and events that Indy has to offer. 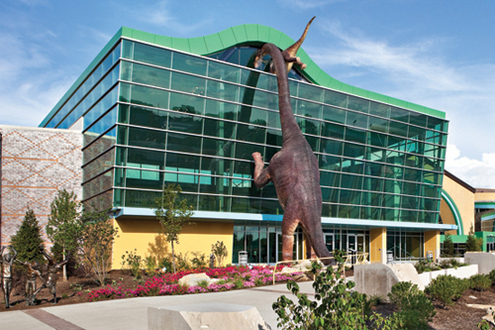 If you have kids and you’re visiting Indy you have to check out The Children’s Museum of Indianapolis. It’s the world’s largest children’s museum! While I haven’t been since I was a child, they have many amazing, interactive exhibits for all ages. I want to borrow a friend’s child just so I can go! Admission is free for kids ages 2 and under. The museum offers 4 free days each year: Martin Luther King Jr. Day, Presidents Day, El Dia de Los Niños, and Christmas Eve! Pro tip: Buy your tickets online ahead of time for the lowest price. Pro tip: Leashed dogs are allowed at The Virginia B. Fairbanks Art & Nature Park: 100 Acres. Holliday Park is a 94-acre park located on Indy’s north side. 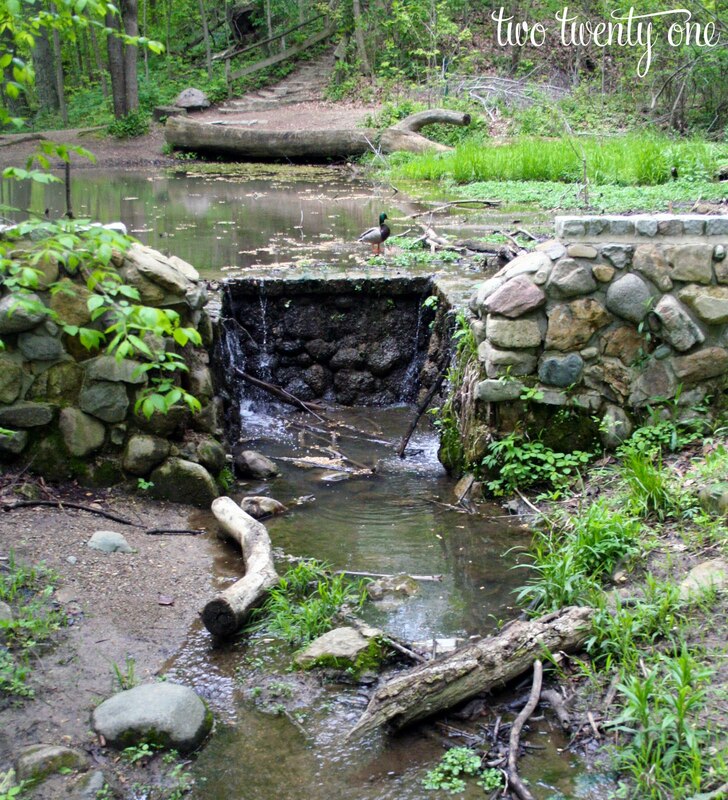 It has a nature center, massive playground, and 3.5 miles of walking trails. 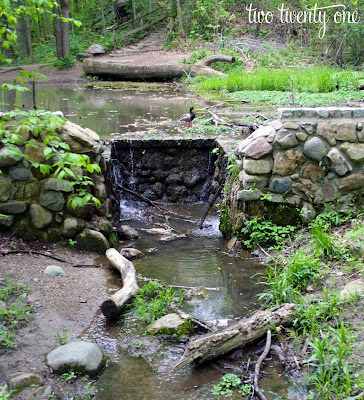 The White River runs through the park, making for some picturesque scenery. Admission is always free. 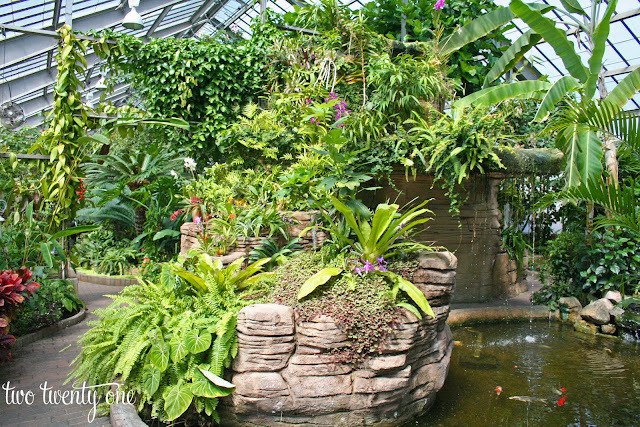 The conservatory contains 10,000 square feet of plants from the tropics. The conservatory is open year-round so even it’s 30 degrees outside, the conservatory is in full bloom. I’ll definitely be taking some trips here next winter. The Sunken Garden includes 3 acres of European classical formal gardens, including paved walkways, historic fountains, and beautiful landscaping. Admission is $2 per person, and kids 2 and under are free. 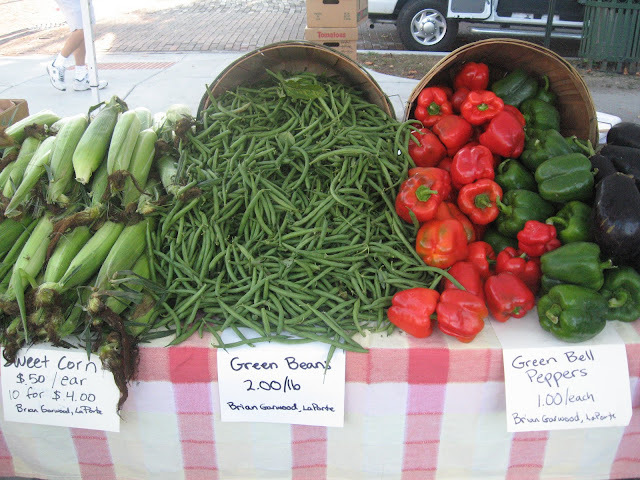 There are plenty of farmers markets to check out in Indy. 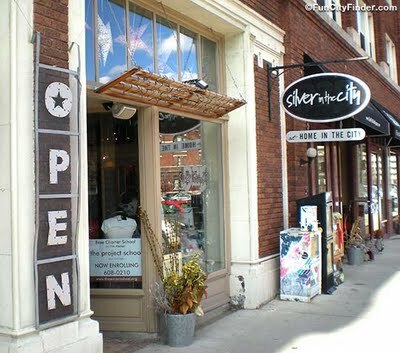 You’ll find everything: locally-designed jewelry, fresh baked pretzels, natural fruit and vegetable juices and smoothies, fresh flowers and produce, herbs, coffee and teas, and much more. The Greatest Spectacle in Racing takes place every Memorial Day weekend at the Indianapolis Motor Speedway. Museum admission is $10 for adults, $5 for youth 6-15, and kids 5 and under are free. If you don’t want to visit the museum, entrance to the grounds is free when there is not an event happening. I don’t think you can visit Indy without stopping by the Speedway. Located downtown Indianapolis, Mass Ave. is a five-block area that is home to theaters, art galleries, restaurants, boutiques and shops, and bakeries. My favorite shop is Silver in the City/At Home in the City. They carry silver jewelry and watches, stationery, books, candles, home decor items, furniture, housewares, and fun gifts. Head downtown and walk the 3-mile loop. It’s bustling with pedal boats, gondolas, bicycles, and surreys. 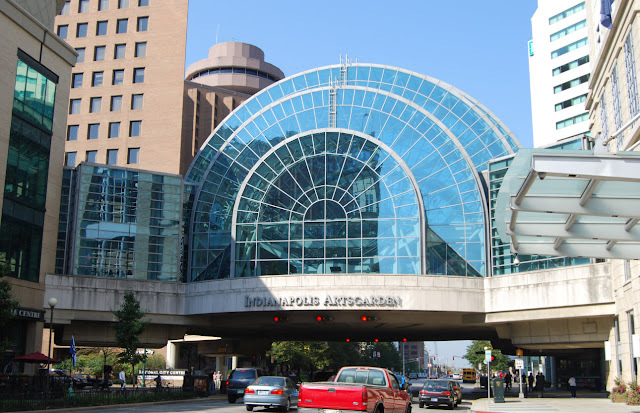 Located downtown Indianapolis, the Artsgarden offers hundreds of free lunchtime and weekend musical performances throughout the year. The Artsgarden also has the Cultural Concierge, a source for free information, maps, visitor guides, ticket information, and more for Indianapolis arts events. 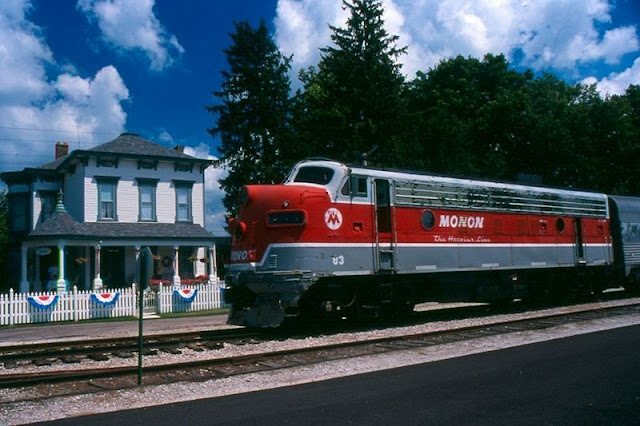 Have a train lover in your family? 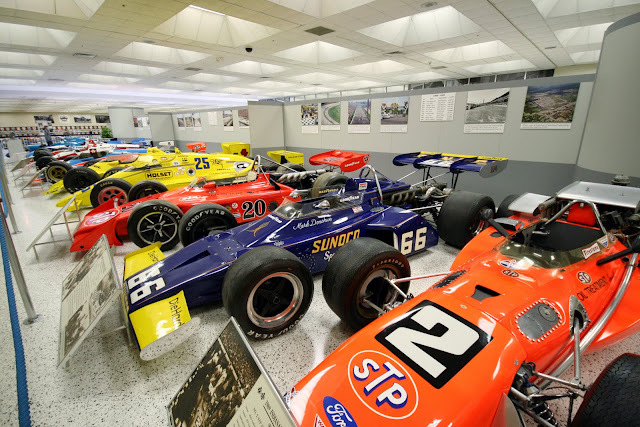 Head to the Indiana Transportation Museum. The museum features diesel, steam, and electric rail transportation from as early as 1898. Train rides are available on most weekends (for an additional fare). Thank you, Chelsea! 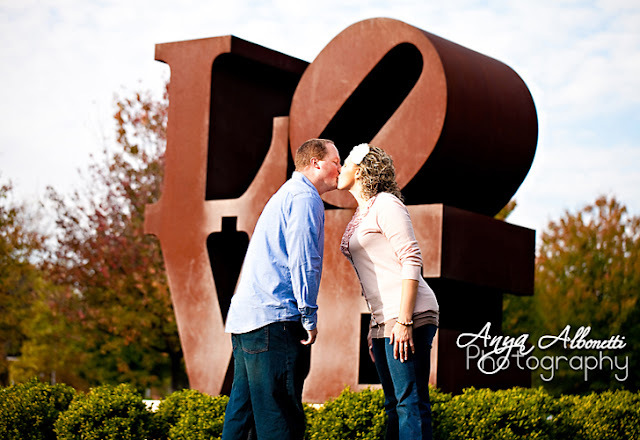 I love that love sculpture! We will be driving through Indianapolis this summer and I will have to plan enough time to do a couple of these. Hey girl, btw, you know you said you wanted to try out my Chicken Curry MIX,,,, well you won a box girl. I'm super excited and can't wait to hear all about how yummy it was, HOPEFULLY in a post, he he.